We offer a range of cleaning services which can be tailored to your needs. Being family run we take pride in our work, and treat your home like ours. All our services are competitively priced whilst delivering a high standard of work. Worcester City Cleaners provide a comprehensive service that encompasses all aspects of carpet cleaning, window, and office cleaning. We are an established firm with a reputation for reliability and value in Worcester and Malvern areas. From windows in your house to multiple site businesses, we can manage it all in a cost effective manner. We have been delivering professional and high-quality window & office cleaning services for domestic and commercial clients for years, and our objective is to deliver complete customer satisfaction every time. We work with maximum efficiency and minimum fuss so you get the best results possible. We are here to undertake all clean-ups with the capacity to take on large ongoing contracts as well as individual domestic jobs. We are equipped to carry out multi-storey window cleaning and can, in addition clear guttering, wash fascias and signs, at high level. We understand that using the services of a company for all your needs allows you to focus on business, work or family and that’s why we like to provide a service that is perfectly tailored and cost-effective in nature. Our team work with professionalism and attention to detail to ensure that your job, whether it is carpet cleaning, upholstery, window or office is done to the high standards you expect, every time. Carpets are normally made to withstand heavy use but if not maintained regularly, there can still build up dirt. Worcester City Cleaners recommend a regular maintenance schedule to create a good first impression of your premises at all times (one off cleans are also welcome too). We are experts in domestic and business sites like offices, schools, clinics, hotels, and commercial facilities. 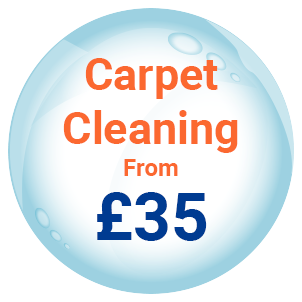 Our cleaners will always ensure that they choose the most suitable treatment for your carpets. Looking For Reliable Upholstery Cleaners? We are proud to provide our customers in Worcester and Malvern with an excellent carpet cleaner hire service and we offer a variety of other cleaning service options to meet all requirements. We can clean on an ad-hoc, one off basis, or arrange weekly, monthly or even annual visits. If you need daily cleanout, we provide an ‘invisible’ key-holder service to keep your office space neat and tidy with our team working out of hours to keep disruption to a minimum. Worcester City Cleaners are dry cleaners too and are happy to consider any die- cleaning job in Worcester, so if you have chore that is particularly tricky or unusual, get in touch today and chat with one of our advisors. We will always provide a free quote before any work is agreed. Our window cleaning services in Malvern and Worcester include coming out to your business / work environment daily at times of your convenience. All of our staff are fully qualified, trained & dedicated to each task at hand.